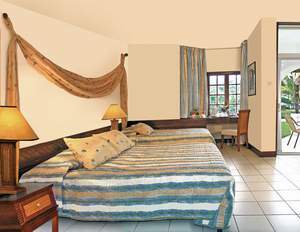 Superior rooms with a choice of king size bed plus a single bed or twin beds. Shower and toilet with dressing area and a hair dryer. Oasis Villas, 60m sq, with patios and private swimming pools for each cluster of 6 or 4 villas. 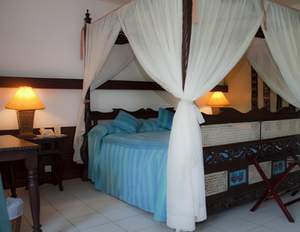 All rooms with large en-suite bath, shower & toilet with dressing area and hair dryer. Air-conditioning, 240v square-pin plug power suply. Satellite TV, telephone, and safe. Comfortable sitting area. 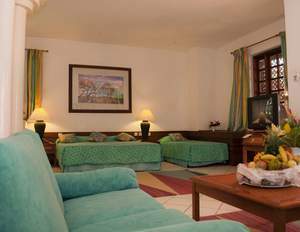 All rooms with large en-suite bath, shower and toilet with dressing area and a hair dryer. Air-Conditioning , 240V square-pin plug in power supply. Satellite TV, Telephone & safe. 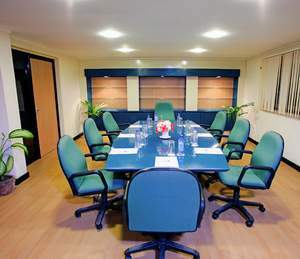 Leisure lodge has become an internationally renowned conference and Convention centre. 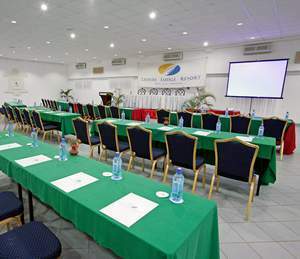 The Conference facilities are all fully air conditioned and Leisure Lodge Beach and Golf Resort fine facilities guarantee the success of even the most prestigious functions, however small or large. 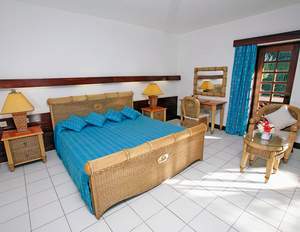 Below are Leisure Lodge Beach and Golf Resort facilities. Leisure Lodge Beach and Golf Resort banqueting facilities serve the varied tastes of Leisure Lodge Beach and Golf Resort discerning guests. Services include champagne and luxury accomodation for upto 600 guests. Gives a holistic approach to body mind and spirit, for trully rejuvenating experience. 18-Hole Championship Golf Course, Driving Range, Putting Green, Golf carts. You can select from a sumptious menu that is tailored to meet your taste. Leisure Lodge Beach and Golf Resort have both vegetarian and non vegetarian menus that are quite extensive. Leisure Lodge Beach and Golf Resort experirnced inhouse chefs will be happy to help you with special dietary requirements and create a menu to meet your unique requirements. Choose to have your banquet in doors or outdoors. From Leisure Lodge Beach and Golf Resort range of restaurants and dining areas you have the perfect venue for indoor functions. breath-taking view, overlooking a pool a aligned with the indian ocean. Pango Room size 134 m sq . Dr Meister Hall size 576 m sq. This can be a A truly memorable wildlife experience and you can book at the Tour Offices for Shimba Hills, Tsavo and Maasai Mara. You will see the Roane and Sable Antelope of Shimba Hills National Reserve, Elephants at Mwalugunje, the "Big 5" in Tsavo National Park all make the the tours quite memorable. Arrange to go deep sea fishing or Dive with the Dolphins with Dolphin Safaris and enjoy Great Snorkelling and Diving in in the beautiful Marine National Parks.